The photo was very good, but the rug's details and cut are even better in person. Would definitely recommend. 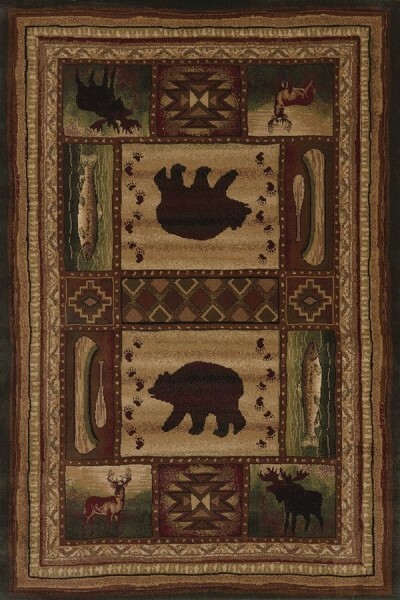 This is the third rug we have bought from Rugs Direct and we have yet to be disappointed. Plush, soft, well manufactured. Quality all around. Will continue to purchase from this company. We bought this rug for our RV. Excellent quality; the color and size are as depicted. The pile is dense enough to hold up, binding likewise. We have used it for several trips now, and it has vacuumed and cleaned up easily and well, and put up with lots of foot traffic with no problem. Something I did not realize when we ordered this rug is that the pile is mechanically cut in such a way as to frame the center of the rug. Not a problem, and well done, but it does not show in the photographs.